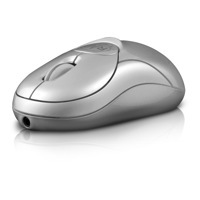 Rechargeable Bluetooth wireless 3-button + scrolling optical mouse - Perfect for your on the go digital lifestyle. 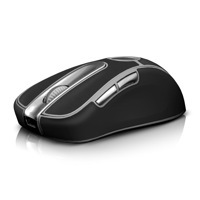 Description: The RadTech BT100 rechargeable Bluetooth mouse makes a great addition to your digital arsenal. This ruggedly built, small and lightweight BT wireless mouse packs such a solid productivity punch, you'll never want to be without it! The BT100 combines 3-button control, ultra-precise 800 dpi optical tracking, NiMH rechargeable batteries and in-mouse fast-charging via an included USB cable. Never get stranded with dead batteries again: Simply attach the included USB charging cable to your computer and the included NiMH batteries begin charging while you continue working. BT100's scroll wheel doubles as a charge status indicator and cell life is extended while powered on thanks to the BT100's power-saving sleep mode. Weighing in at a luggage-friendly 66 grams with batteries, the BT100 won't add to your load. Cell life is extended thanks to the BT100's smart power-saving sleep mode - click a button or move the mouse while in sleep mode and the connection is seamlessly restored in seconds. An easily accessible power switch, located on the underside, allows the device to be powered down for extended periods of non-use. 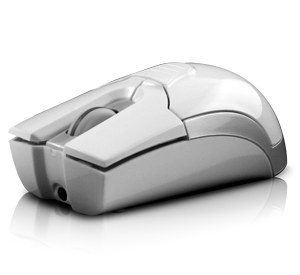 Easy Set-up: Connecting the BT100 is simple - no drivers needed for Mac or PC - All mouse buttons are fully application assignable with no additional software. Install RadTech's free RadMouse configuration driver for Mac OS X, or use Highresolution Enterprises' X-Mouse Button Control for Windows and take complete control of your digital domain.